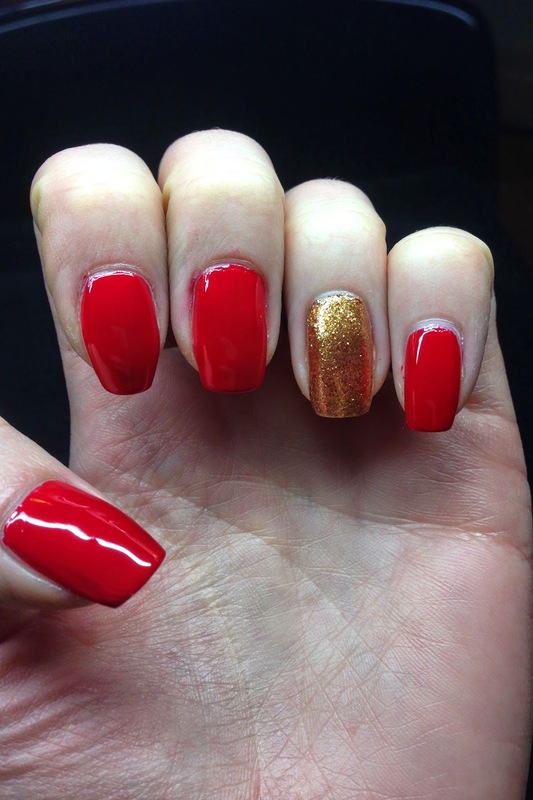 Apply base coat and two coats of red nail polish Color So Hot It Berns by OPI, on ring finger Goldeneye by OPI. 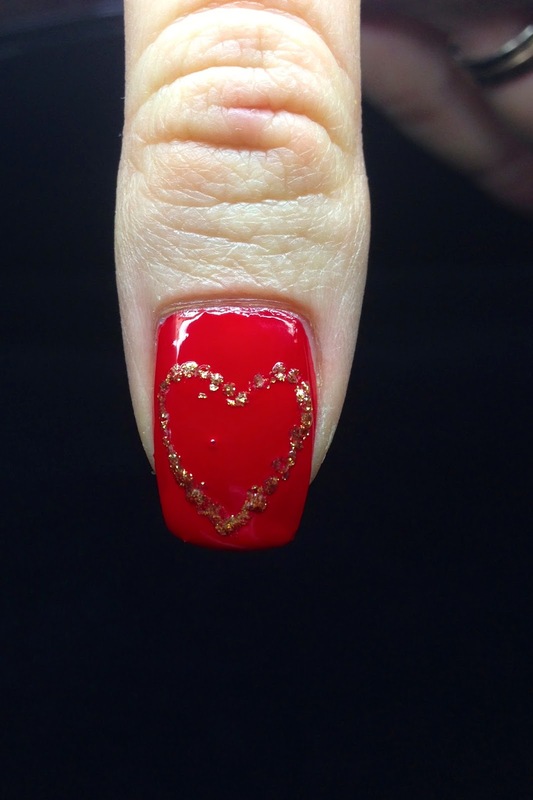 Using dotting tool put dots creating the heart. 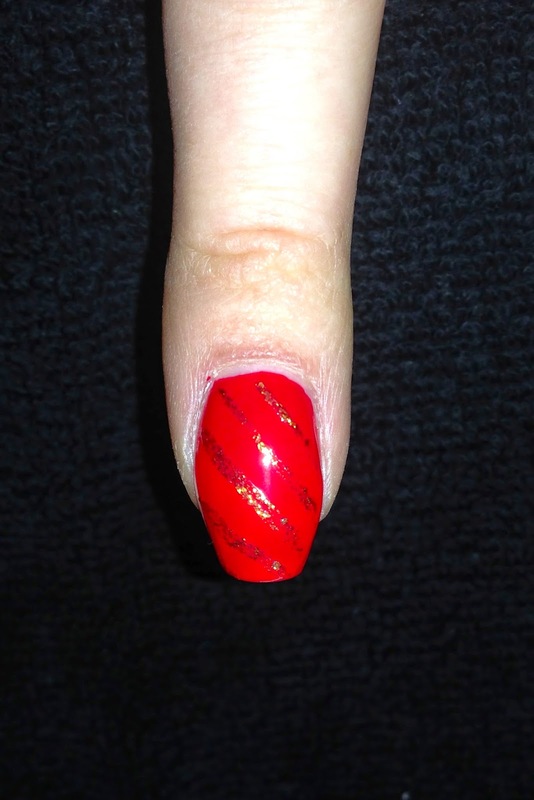 Using thin nail brush paint stripes. 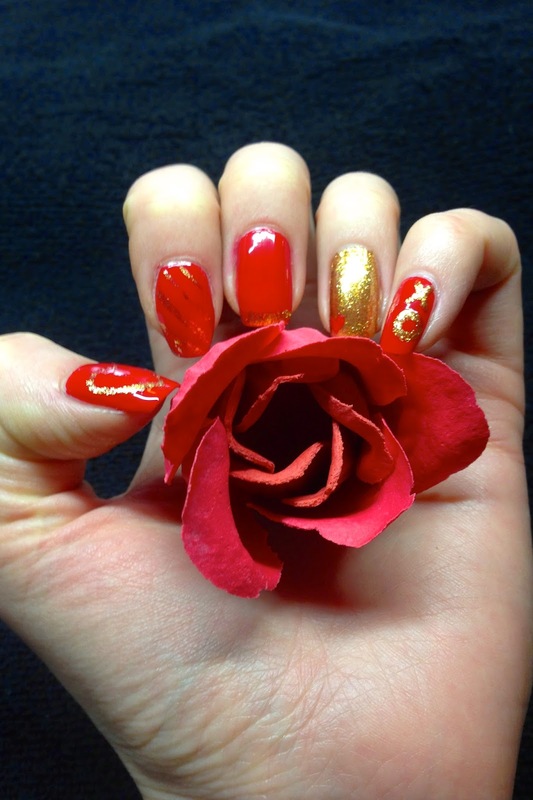 Using thin nail brush paint red heart. 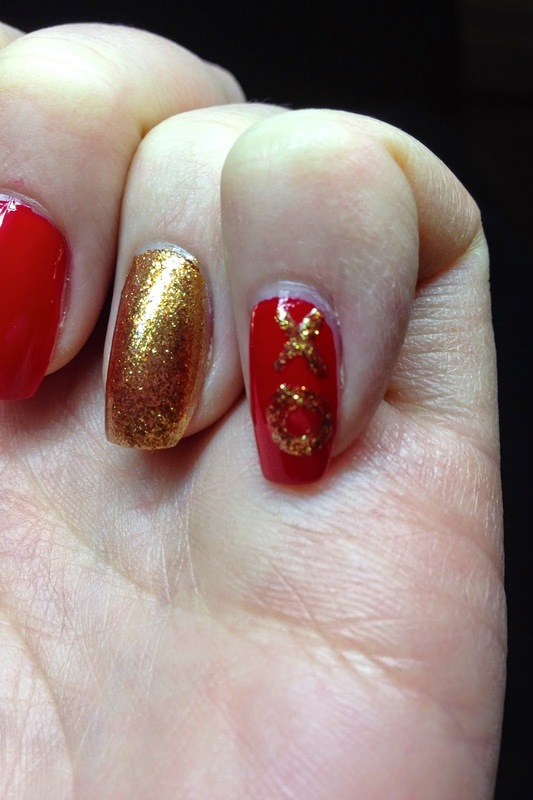 On a smal finger paint XO with a thin nail art brush. 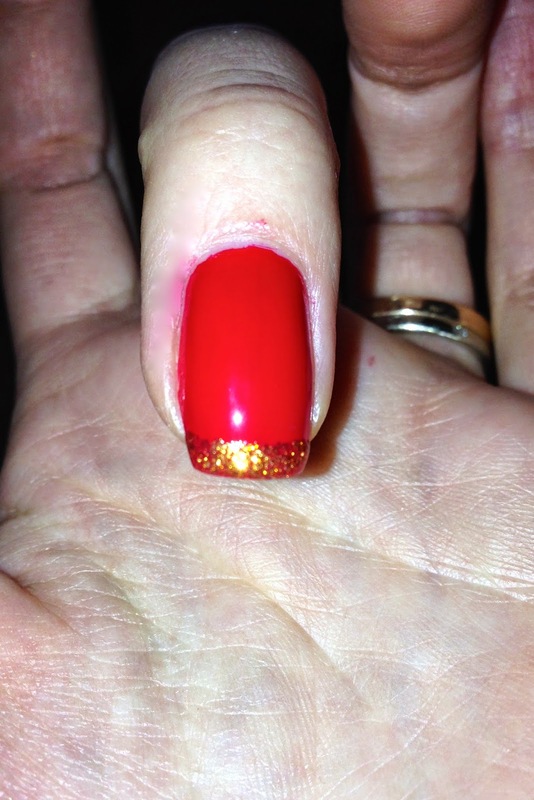 Apply top coat and enjoy the holiday.